Giovanni De Lisi, CEO of Greenrail, has patented railways sleepers, which reuse plastics and rubber waste. And now, a 75-million-dollars contract comes from the USA. ROME. At the age of 19, he decides to leave the university: “I went to my father’s office, I thought he’d take it badly. I explained him that my dream has always been to become an entrepreneur, that the diploma is just an unnecessary piece of paper, and would rather slow down my career. Since we had a family business, I wanted to try and improve it, move forward. My father didn’t even blink: okay – he said to me – come next week to the construction site in Busto Arsizio. Make yourself available to the Foreman and good luck”. Giovanni is the CEO of Greenrail, a startup that has patented in 79 countries worldwide the first eco-sustainable railway sleeper made of recycled plastics and End-of-Life Tires. A mix able to reduce the environmental impact: “the idea – it seems impossible, but it’s true – was born thanks to a documentary on tv. It was describing the experience of an American company, which has patented a particular type of railway sleeper, reusing only plastics. An interesting project, of course, but it hasn’t entirely convinced me. This type of product – explains De Lisi – could only be a substitute for wooden sleepers, a segment, which represents only 10 percent of the world market. Too little, a solution, which substitutes concrete sleepers was needed. I put myself to studying, I have visited thousands of websites in order to understand what could be a better solution. At the end, one day, a flash came to my mind, and my life has changed”. 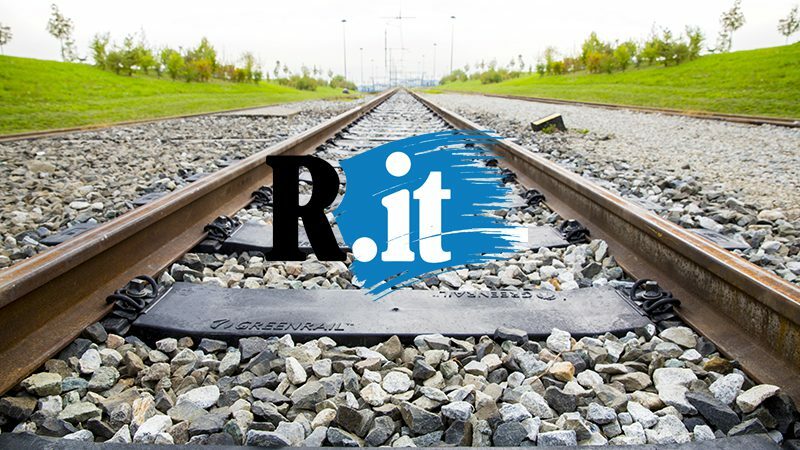 Greenrail participates in “Shark Tank” programme, a contest for startups on Mediaset tv channel, and Giovanni refuses an investment of 1 million euros to surrender his idea: “I was sure that the company was already worth much more than that – he explains – They were taking me for a madman, but were proven wrong fast”. First funding of 3,5 million euros from Horizon2020 SME Instrument programme, then selection from more than 100 most innovative projects in the world and participation in EXPO 2017 Astana. In November a prize for the best startup of the year and at the end – signing the first contract with SafePower1, an American company, which has spent 26 million euros for industrializing and commercializing Greenrail products. A number, which will be enlarged by royalties, and reach 75 million euros: “when I signed this contract, my entire life passed in front of my eyes – says De Lisi – What was I thinking about? Maybe about this professor of Engineering, who during Analysis classes would show us a piece of paper with “Minimal 7” written on it. He meant that to pass his exam, we need to try at least seven times. Thank God that I have put myself to work almost immediately, otherwise I would have only wasted time at the University”. After the American contract, Greenrail is already in talks with China, Saudi Arabia, France, Kazakhstan. And Italy? Mister Startup collaborates with half of the world, but has difficulties in his own country: “It’s no surprise – he claims – unfortunately the Italian system is not ready to face innovation. Young people are not trusted, it is preferred to squander the money in ridiculous ways, letting our most promising talents leave Italy. I, who work with trains and come from Sicily, cannot come to terms with the fact that to get from Palermo to Siracusa it takes six – seven hours. We have railway lines from the third world, but I do not despair: hopefully sooner or later the situation will change and I will manage to work also on my own soil. It would be another of my dreams coming true”.